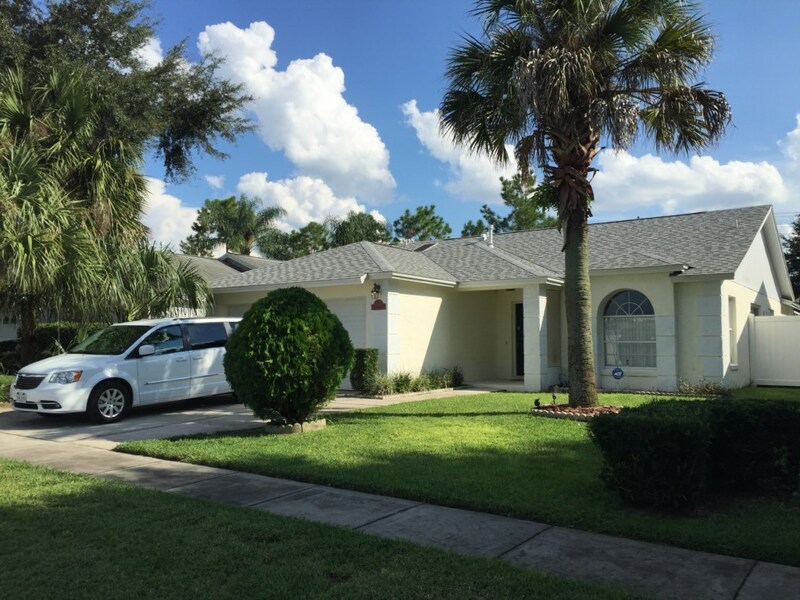 3 bedroom, 2 bathroom villa in the Indian Ridge Oaks community. Owned by Tony and Tracy Clark. Ref: 126. For privacy reasons, the marker on the map shows the Indian Ridge Oaks community location and not actual villa location. Walt Disney World’s main entrance is located just 3 miles from our wonderful home on Indian Ridge Oaks, a quiet community (between markers 5 and 6), just off of state highway 192. If you are looking for that special something… then look no further … you have just discovered your dream vacation home, where luxury comes as standard !!! 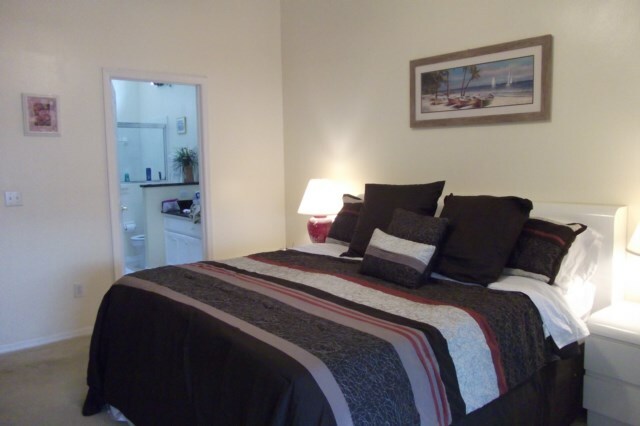 Our superbly appointed 3 bedroom 2 bathroom family friendly vacation home will delight and amaze you from the very moment you step through the door. Stylish and sumptuous poolside furnishings: loungers, tables, chairs etc. 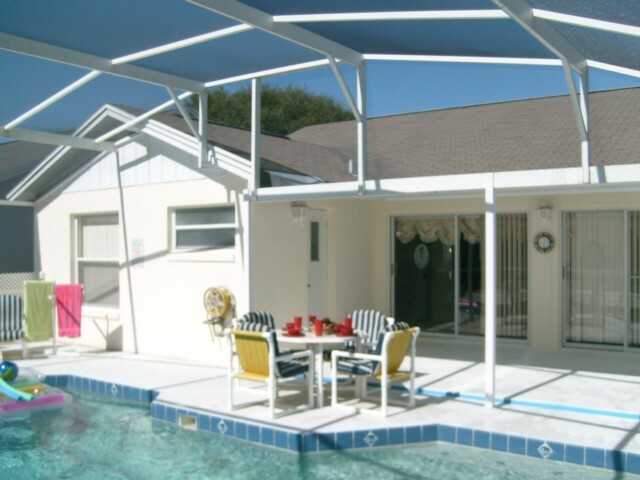 So why not click on the link above, take a virtual tour of our home and see for yourself where you could be spending your next Florida vacation. 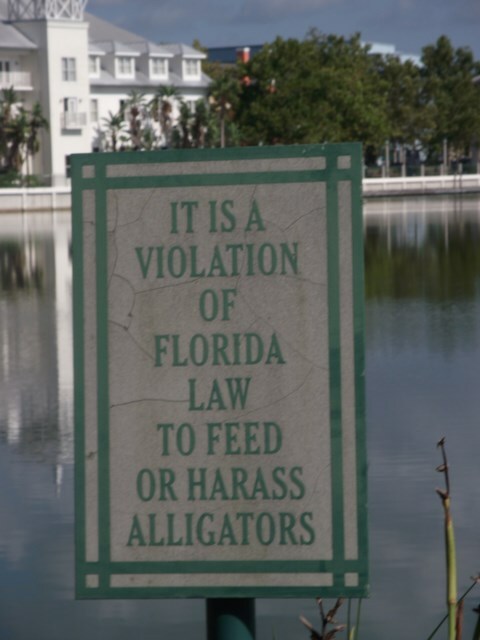 We guarantee you’ll be delighted. 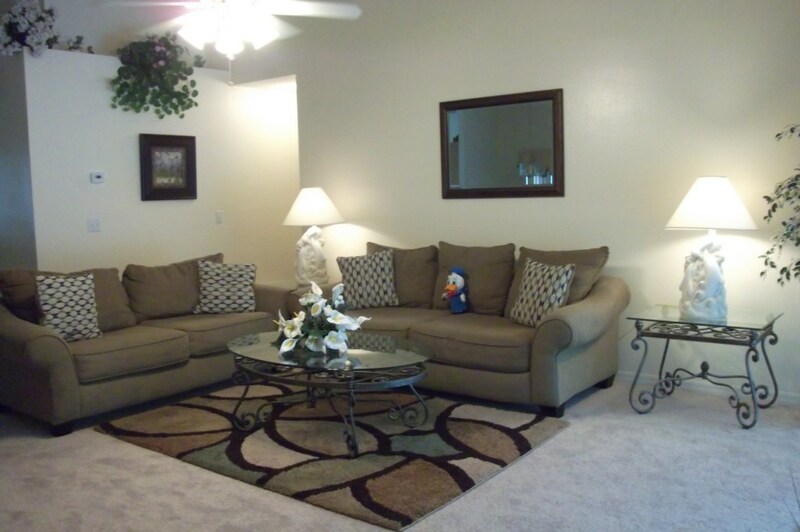 Many satisfied guests have already experienced our wonderful home … now we invite you to do the same. 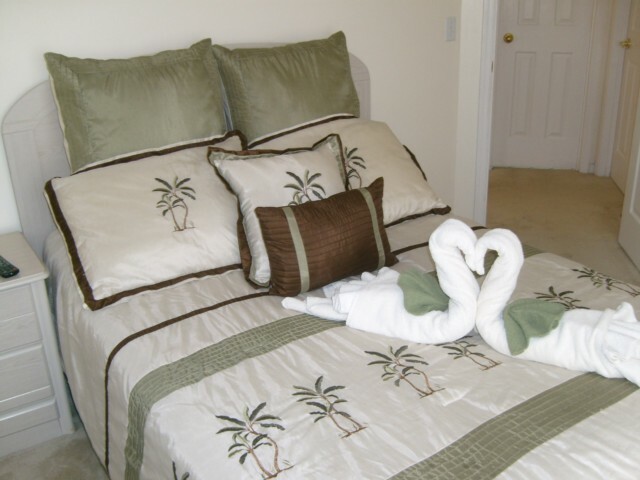 Located on Indian Ridge Oaks, one of Orlando’s premiere vacation resort destinations, our beautifully appointed home, boasting 3 bedrooms and 2 bathrooms, and hosting up to 6 guests will certainly not disappoint when it comes to luxury, facilities and the freedom to simply relax and be yourselves. Specifically designed with the discriminating guest in mind, you will discover that every detail has been catered for to create a vacation home of outstanding amenities and upmarket, contemporary décor. Add to this all the great free to use community facilities such as basketball courts, a kid’s play area, tennis courts, jogging trails and a fantastic community pool, and you can see why so many holiday makers return to our home time and time again. Sounds pretty good huh ? 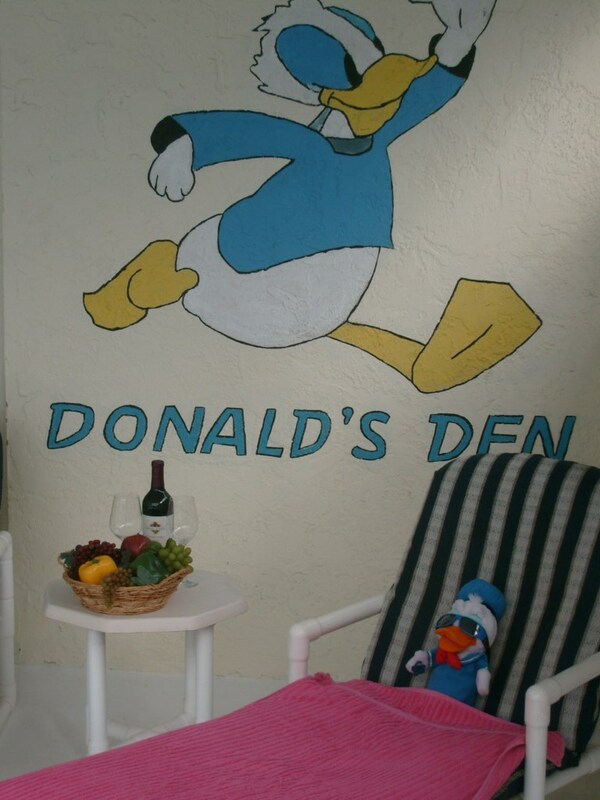 So how about remembering at this point that in addition to the fantastic accommodation on offer, Walt Disney World, the home of Mickey Mouse himself, is just a short 10 minute journey from our fabulous luxury home ! 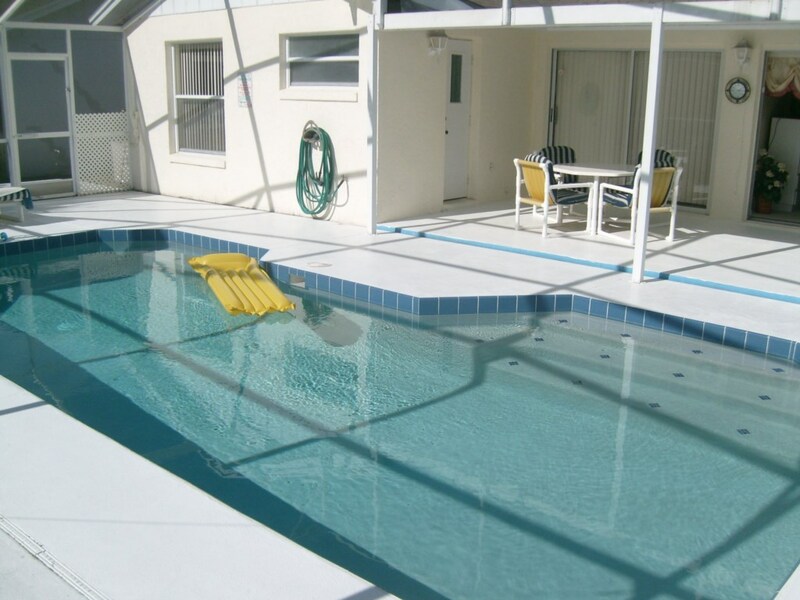 One of the most popular aspects of our fabulous luxury Florida home is the outstanding south facing, sun drenched pool. Surrounded by extended decking and offering a large collection of sumptuous loungers and chairs to ensure that you can enjoy every minute of the glorious Florida sunshine, our villa boasts one of the best outdoor entertaining and al fresco dining facilities on the Indian Ridge Oaks community. And if those golden rays do prove a little too harsh, we have an extremely large covered area (lanai), where you can sit and still enjoy the warmth of the sun, without the glare. 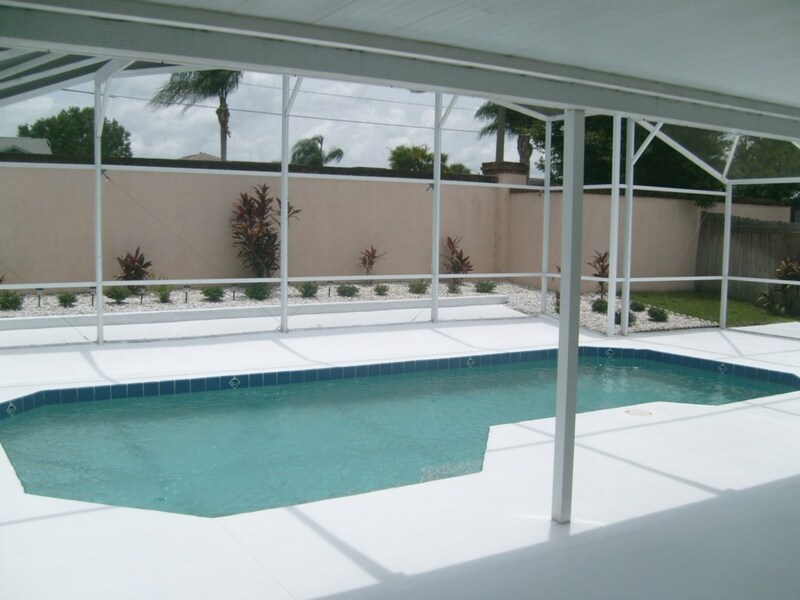 Fencing and wall ensure additional privacy to you and your family. 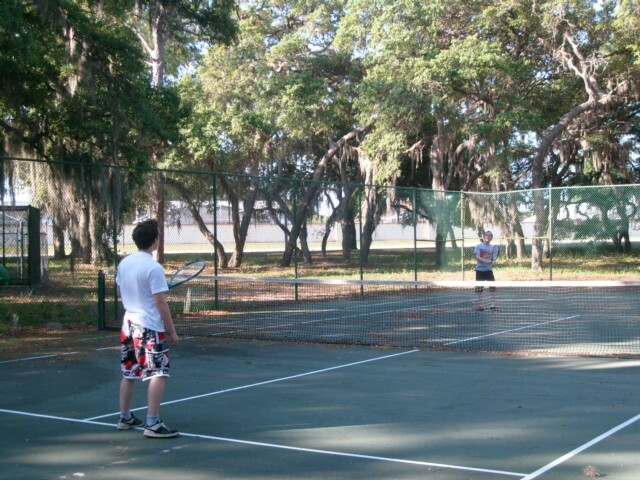 At night time, our outdoor lighting allows you to extend your fun activities into the temperate Florida evenings. Like the rest of the house, the lounge provides spacious and bright accommodation which benefits from being fully carpeted and has the added attraction of overlooking the glistening pool outside via a large glass sliding door, which is alarmed to monitor and safeguard your little ones wandering into the pool area unattended. The high vaulted cathedral ceilings and air conditioning creates a comfortable cooling ambiance throughout this room, which features a queen sleeper sofa and love seat (2 seater sofa), an attractive 42 inch flat screen cable TV, video player, DVD player, extensive movie library, books and games for you to use during your stay. Master Bed: The spacious and delightfully decorated master bedroom has large sliding glass doors which open onto the stunning pool deck outside, and features an American king size bed,with memory foam pillowtop mattress, tasteful and luxurious bed linens, a remote controlled 26 inch flat screen cable TV with dvd player and also complimentary 24/7 internet connection. Master Bath (en suite): Immaculately clean and bright, this gorgeous bathroom consists of a large garden bath tub, a beautifully refreshing walk in shower, his and her vanity unit, hairdryer and a large walk in closet. 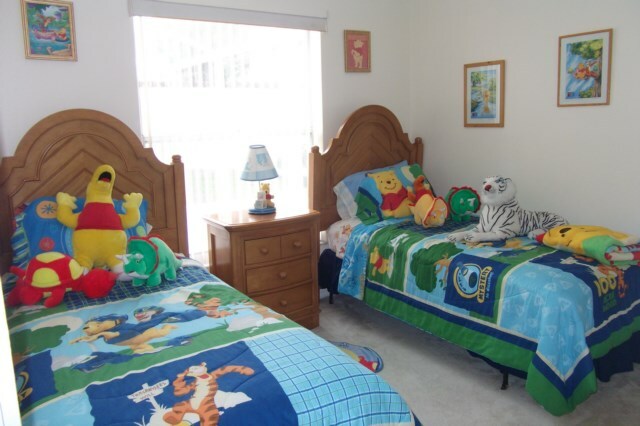 Bed 2: Charmingly decorated and themed in Disney style, the kids will absolutely adore our Winnie the Pooh twin bedded room,(other bedding is provided if you are not a Pooh bear fan!) 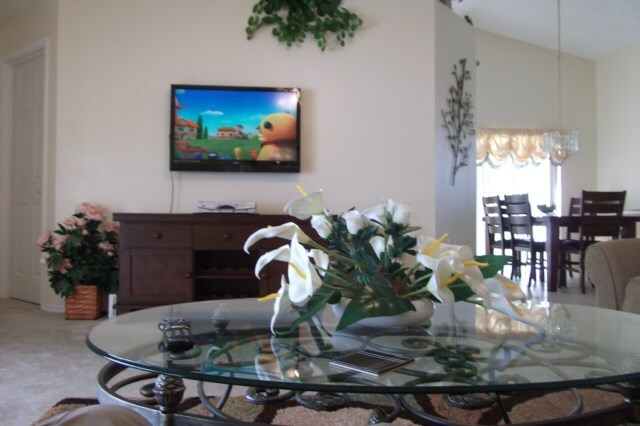 which features two new twin beds (sealy matresses), a flat screen remote controlled cable TV with DVD player, closet space and our ever popular Sony Playstation 2 with games… guaranteed to keep the little ones (and grown ups) amused for hours! Family Bathroom: The 2nd bathroom is situated between the twin and third bedrooms and features a shower / tub combo, with Winnie the Pooh décor and accents, and benefits from a “Miami” door which takes you directly to the pool affording easy access while swimming. As with all our bathrooms, we provide a hair dryer and quality towels in a range of sizes and complimenting colours. Bed 3: Our third guest bedroom is, as you would expect, tastefully furnished with your luxury and comfort in mind and contains a double (full) size bed, dressed with quality linens, remote controlled 19 inch flat screen cable TV with DVD player and a large closet for all your storage requirements during your stay. 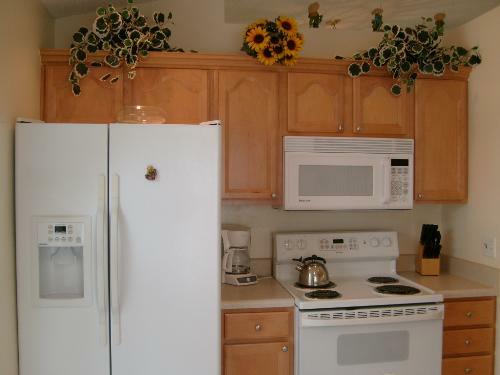 Usually regarded as the “heart” of any good home, the kitchen comes to you fully equipped with everything you are likely to need in case the urge for a little cooking should strike! Our facilities include crockery and cutlery (flatware and silverware) for all your dining needs, coffee maker, toaster, stove, large fridge freezer, dishwasher and a microwave oven ~ in fact pretty much everything you could ever need. 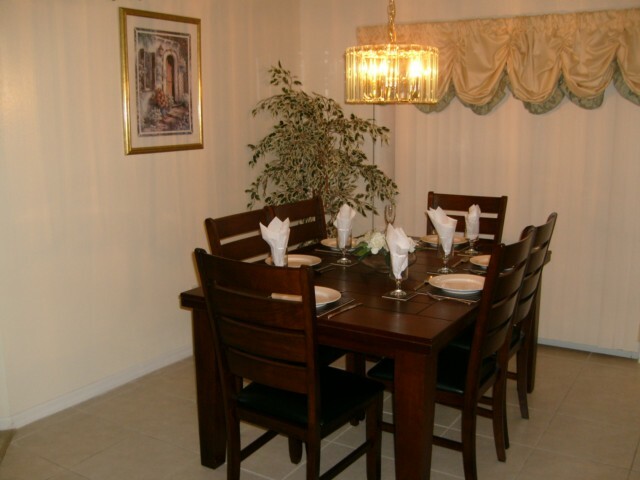 Our formal dining area comfortably seats six guests, with “additional” crockery etc. available for those special family meals. Our modern washing and drying facilities will make laundering your clothes a breeze during your stay, and our ironing board and iron will ensure that you always look your very best! 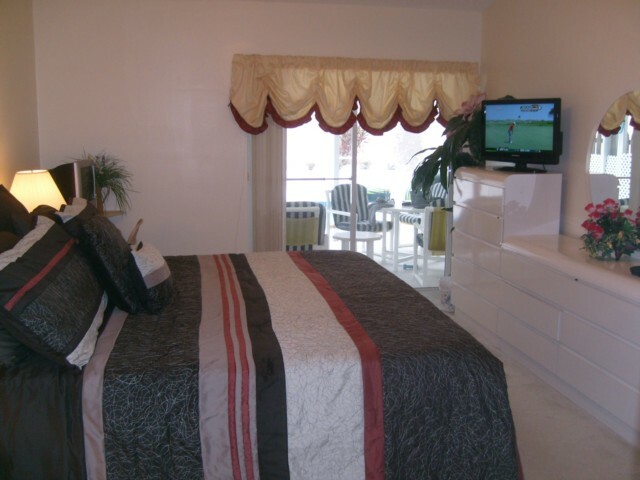 The Styling of the villa was great & the equipment is more then adaquate, kitchen & bathroom were clean. You have a nice house & we will rent from you again. the launch of a space shuttle! !PS;the kids wrote an extended story in your guest book. it because we had our own pool and pool table.We have used these amazing items a lot.We are very grateful for our parents for this awesome vacation & would like to complement you with this amazing house which played a big part in our vacation.We wish you good luck with this house & maybe we can come back in a while, We hope so!! We had a brilliant time & we all totally loved your villa. It was ideal in all respects.We were glad to get back to the relaxing atmosphere after every action packed day.We would very much hope to stay in your villa in the future, and i would like to thank you for all your help & tips etc Tony,they were much appreciated. We have enjoyed a fabulous vacation here in Florida in no small way thanks to your beautiful house.The villa has been a delight & afforded us the ideal base from which to explore all the magic that the sunshine state has to offer. The opportunity to relax here,cooling down in the pool & around the dinning table has made the holiday.We cannot imagine a better way to spend a holiday. If we come back we would definitely stay here,If not we will recommend to all our friends, You should be proud to have such a nice place.We couldnt ask for more,Thanks so much for making our holiday perfect. We spent 4 days travelling before we reached this gorgeous home. 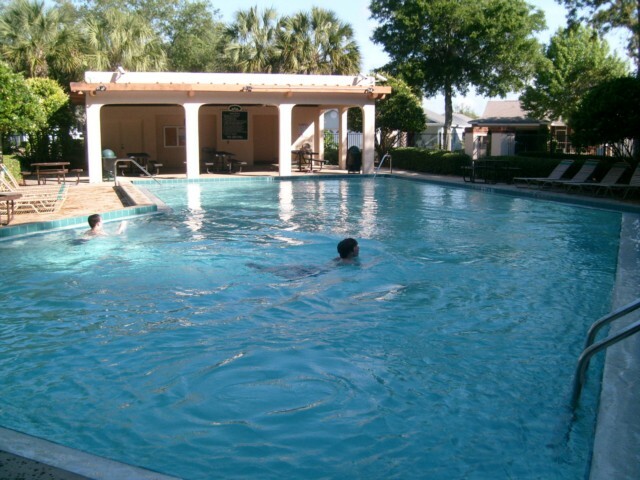 Perfect location for theme parks & for relaxing after a hard days funtime. Beautiful home Tony & Tracy, perfect for the five of us. Will recommend this house to any friends looking to head in this direction. Good description on web site, brilliant communication from Tony. Want to come back as soon as poss. Oh- the masterbed is soooo Lush ! 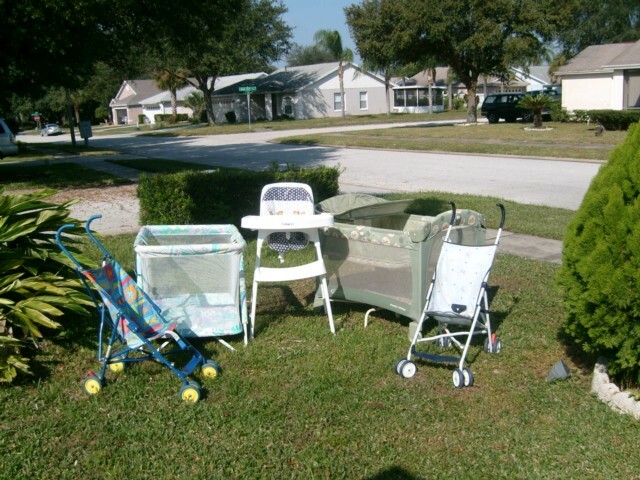 This was our second time to Tony & Tracys villa. As perfect in every way including location. We have found Tony to be so helpful when we get in touch & we would all thouroghly recommend the villa to our family & friends. Alas it is now back to 10 centigrade from 30 centigrade, but hopefully will be back. Just to say a big thank you for a wonderful holiday in your villa. Everything has been perfect and the villa is fantastic- a real 5 star holiday! The location is amazing aswell. The last time we were here, we stayed about 30 mins from the parks, so the 10 min journey from here has been a joy. We have really enjoyed ourselves and will hope to return at some point in the future. burrito in the Cheesecake Factory was amazing!! All descriptive text, templates, photographs and images are the copyright of the owners and may not be used, copied or reproduced in any form under any circumstances. Our Rates are not the cheapest if you are looking for that something extra special you have found it go on treat yourself you deserve it you wont be dissapointed. Stays of less than 7 days should add $82 cleaning charge. 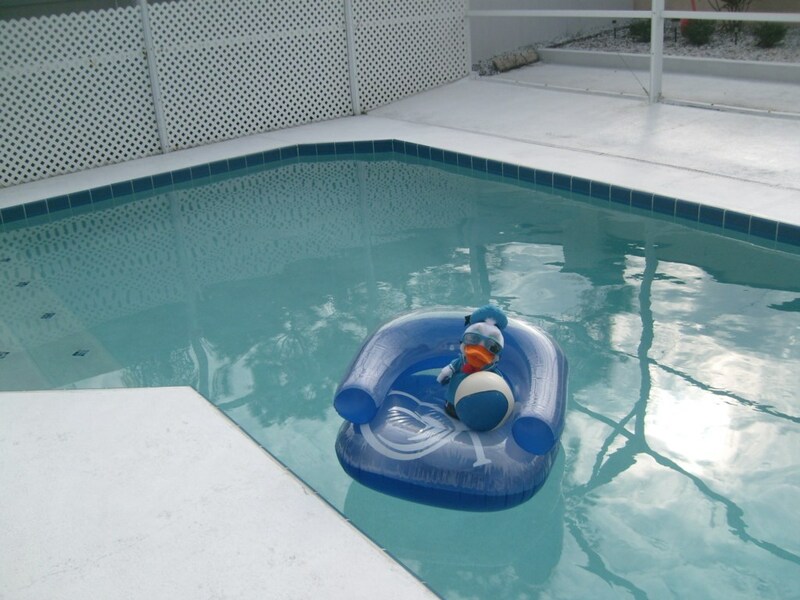 Pool heat for USA renters (If required) = $150 per week. Your enquiry will be sent to villa ref 126 only. This page has been viewed 134411 times since 12 Feb 2002.